Emerald Pointe aims to provide our residents with the best experience possible while we work to get them back on their feet. 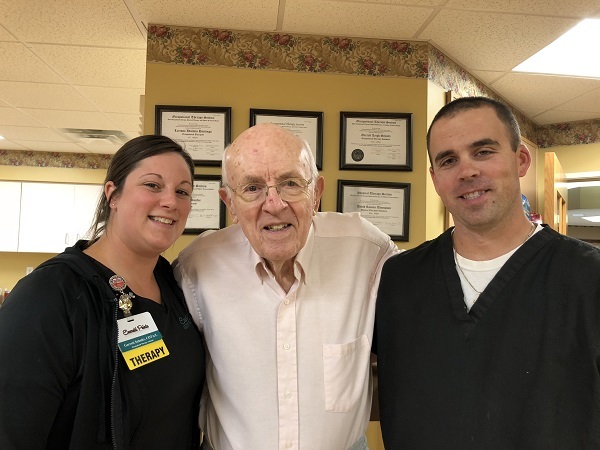 Here is what Don had to say before heading home after his stay at Emerald Pointe. "My stay here was very effective, very competent staff, enjoyed therapy because it helped me get back home, therapy staff was very interest on how I improved every day. Facility had nice accommodations for all my needs. I would highly recommend this facility."